TransPak's Milipitas, CA location was born through the acquisition of 2XL in 2017. 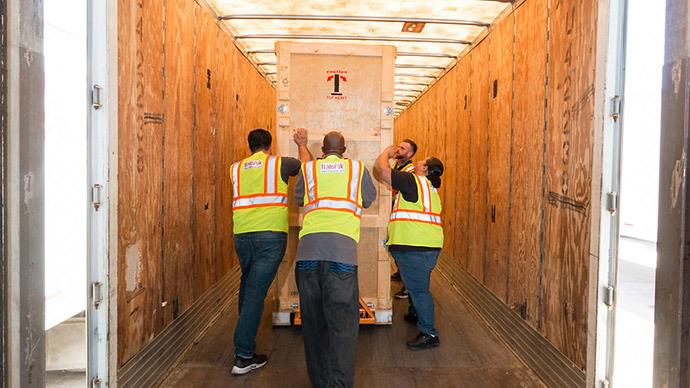 2XL has been successfully operating in the Bay Area since 2000 and adds over 150K square feet of warehouse space and compatible services to TransPak's global footprint. We are rigging industry veterans through 2XL's leadership in this area. Our highly trained team of rigging personnel are experts in handling in the handling of high-valued, highly sensitive equipment. We are experienced in handling various sized equipment from pumps and table top ovens to large industrial, manufacturing, semiconductor, machine shop tools and or medical/lab equipment. We have relocated entire Fabs, and our riggers have traveled throughout the world to install or remove equipment. We pride ourselves on having one of the most extensive arrays of rigging equipment in the Silicon Valley. We have a fleet of forklifts ranging from 5Kto 36K capacity, air bearings, including the compressor and dryer, stair climbers, and various sized sheets of stainless steel, aluminum, and lexan. We have also been instrumental in designing and fabricating special equipment to enable us to handle our customer’s equipment expeditiously, and most importantly, safely. 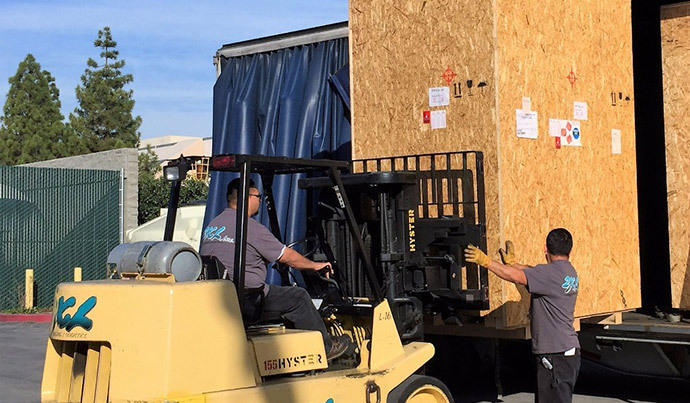 From a simple crate, to a crate that requires internal jigging and bracing, floater base, foamed lining, to protect your valuable commodity, 2XL has a dedicated team of craters, which enables us to do custom crating to fit our customers needs. All our export crating wood is heat treated and is USDA compliant and our crates are built to be compliant to the country of export. We have a state of the art warehouse that comprises of over 150K square feet, of which, 7K square feet is temperature and humidity controlled. We have incorporated a completer WMS System with Internet Access so that you may view your inventory. Our warehouse is equipped with surveillance and security cameras throughout the building and armed with an alarm system that is monitored 24 hours a day, each and every day. TransPak Milipitas has the ability to handle any transportation needs that you may have including climate loads, flatbed shipments, to smaller shipments that can be picked up in our Bobtail. Our fleet of tractors, trailers, and bobtail are all air-ride equipped, and have full Logistics to enable us to secure and transport your load safely - within the Bay Area and around the globe. We monitor your shipments from the time they leave your facility to the time it is delivered to the tradeshow. Our staff is available 24/7, each and everyday of the year to assist you with any of your specific tradeshow requirements. Have a question for our team in Milpitas, CA?